PokerStars announced that the European Poker Tour (EPT) will be played in Vienna, Austria as the sixth stop on the EPT’s Season 10 schedule. Vienna takes the place of Berlin, with the festivities taking place on March 19-29, 2014. The EPT is a series of poker tournaments sponsored and organized by PokerStars whose next stop, Prague, will take place in December. 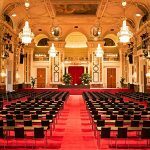 The EPT tour stop in Vienna will take place at the Hofburg Palace, which is located in the center of the country’s capital city and within walking distance from various hotels. EPT organizers were purportedly calling the swap from Berlin to Vienna “a coup” because of the amenities in the immediate area. The Concord Card Casino group, known for operating thirteen poker rooms in Austria over the last 20 years, will be the official operator and partner of the EPT Vienna Festival. The Hofburg Palace is a historic piece of Viennese property and currently is where the President of Austria resides. Some of the oldest sections of the huge grounds date back to the 13th century but renovations have made it a modern European marvel. This is not the first time that Vienna will host a European Poker Tour event. 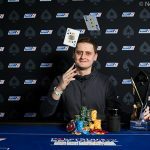 The last time around, a German student named Michael Eiler bested a 578 player field in the 2010 EPT Season 7 stop Main Event, which included 2013 WSOP Player of the Year, Daniel Negreanu. Eiler took in €700,000 for his efforts. 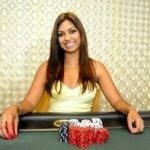 The Season 10 event in Vienna, Austria is expected to attract over a thousand players who will play in a plethora of poker events over the course of ten days. Aiming to create a tournament for every type of players, the Season 10 EPT Vienna Festival will include a wide range of tournament buy-ins spanning many disciplines of poker. 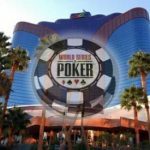 The schedule will be standard to other Season 10 stops, meaning that there will be a €5,300 Main Event and €10,300 High Roller Event for players to participate in. Players looking to travel the world can quality to play at any of the EPT stops by playing at PokerStars. Leading up to the stop the popular poker site runs qualifier tournaments that players can compete in. The top prize is a prize package that covers travel and buy-ins to events.